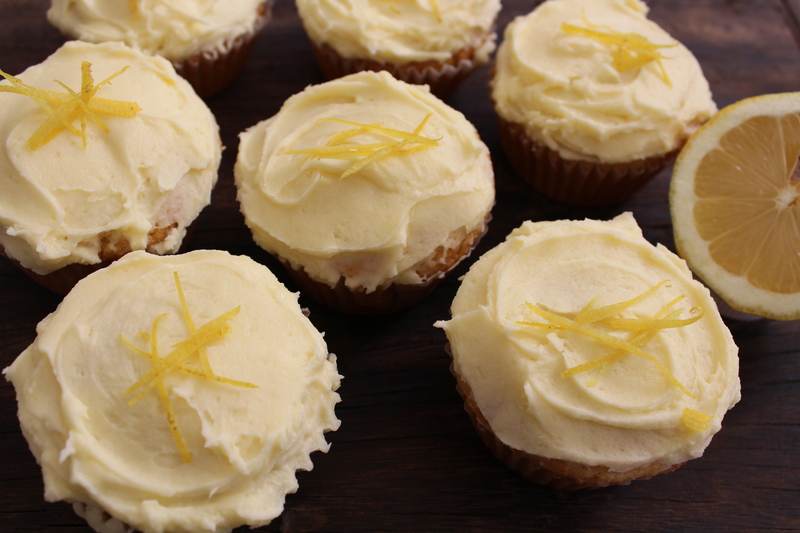 I have never been a fan of eggless cakes…they always tend to be hard, dry and just not quite ‘quite’. The last one I tasted was at a birthday party. I was given the largest slice – I suppose my greedy reputation does follow me around but in this instance, it worked against me. The cake was horribly bitter and I had to eat all of it as I was being eyed out closely. I decided to swear off eggless cakes. My troubles with eggless baking were just beginning…. Some months passed and there have been the Facebookers that request eggless recipes. I gave it a bash again and it was a disaster. The Red Velvet Cake looked like melted plastic and it was as hard as a rock. My kids were most amused and so was Rob. I instructed my assistant to ‘chuck out’ the cake and not to mention it again. I skulked off and sulked in my room for the rest of the day. I came out a few hours later when the giggles subsided. I started working on a Diwali Show for Saffron TV. Unfortunately, the channel closes in a few days so the Diwali show will not be airing. I will share my eggless experiments with you anyway! In the first season of ‘Sugar ‘n Spice’, the eggless brownies (https://yudhikayumyum.com/sugar-n-spice-on-saffron-tv/saffron-tv-eggless-chocolate-brownies/) received a heartwarmingly positive review…One of the best recipes so far was the Eggless Lemon Coconut Cakes….I have never been a fan of faking anything…but these luscious cakes know just how to fake it. 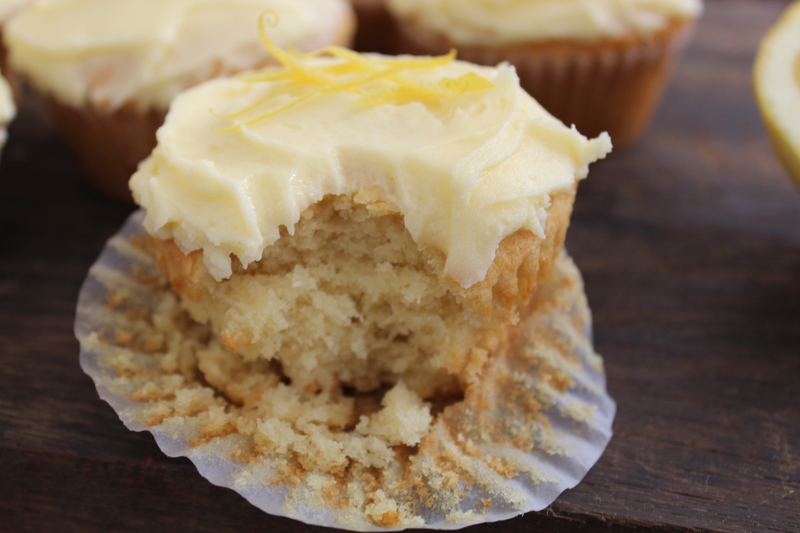 They are simply delicious….light and fluffy with the perfect crumb, smothered in a delicious light and fluffy lemon frosting! Hallelujah…I think these cakes are going to save my reputation after my previous mishaps! Perfecting these cupcakes has been an adventure! I watched this evening as Rob tucked into one…I am so so pleased with the results…its been a long road…buttermilk versus milk, baking powder versus bicarb….vinegar or not? 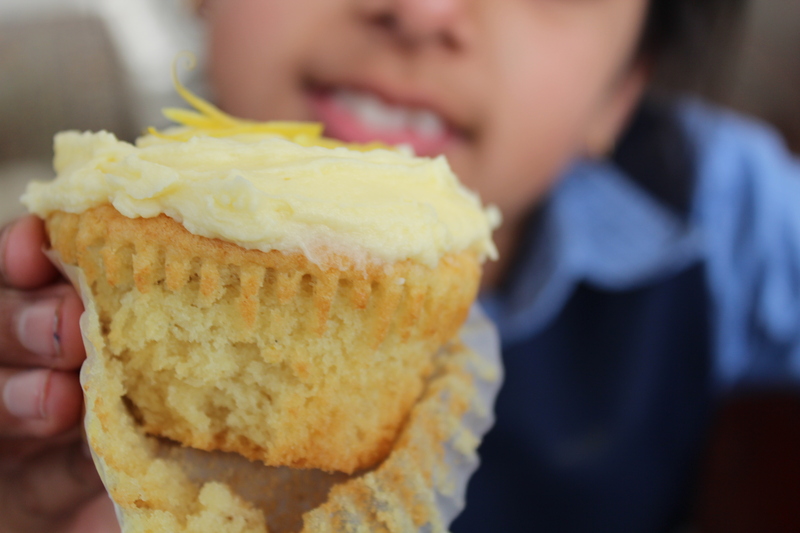 The options were endless…it resulted in milk, baking powder AND bicarb without any vinegar! I think that adding the yoghurt, adds a lot of magic to this recipe. You should try this out not because of its status…try it because it is just so good. 125g Spar Butter, at room temperature…please! Line a 12 mould cupcake tin with paper cases. Cream the butter and sugar until light and fluffy – I used a Kenwood Chef for this but you can use a hand-held electric beater if you prefer. My Kenwood Chef…does all the work for me! Scrape down the bowl often and then add the lemon zest. Add the coconut and beat for a few seconds. 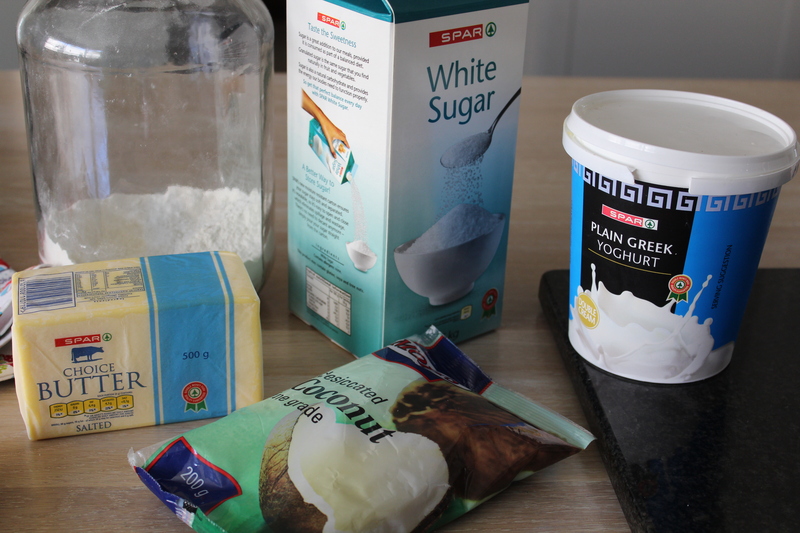 Combine the yoghurt, full cream milk and vanilla paste in a jug. Sift the dry ingredients and add them to the creamed butter. Pour in half the milk and yoghurt and beat on low, gradually adding the remaining liquid. Scrape down the bowl with a rubber spatula and continue beating until the ingredients are well combined. Divide the batter into the 12 prepared paper cases. Bake for 20 minutes or until a toothpick comes out clean when the cakes are tested. Leave to cool slightly before placing the cakes on a wire rack. Cream the butter and add the icing sugar gradually. When the butter is very light in colour, add the fresh cream. Continue beating for a few seconds, then add the fresh lemon juice. Beat until the frosting is fluffy. Scoop the frosting over the cupcakes and use a palette knife to spread. Garnish with a few slivers of lemon zest. I tend to run out of recipe ideas on Monday…who doesn’t? It seems that I do all my ‘pull out the stops’ cooking from Friday to Sunday. This weekend was a particularly big cooking weekend with Soweto TV shooting an episode of Kasi Kitchen on Saturday. This means lots of food….lots of feasting and a general slump in Monday’s cooking Morale. For a while, I tried the Meat Free Monday option – this did not go down well with my family! The kids and I are seriously devout carnivores. So much for going green…we tried pizza night…sausage night but it was back to the hearty home cooked options die to the lack of enthusiasm from my audience. Minced lamb, chicken or beef is perfect for a lazy day. With a few spices and the basics, it can be turned into a fuss free feast in a few minutes. Rob and I are keeping with our Monday date night tradition – the kids are going to feast on this meaty lamb lasagne! Just a few thoughts…I suggest using an AMC pot to cook the mince – you need to cook with a fantastic pot to get the mince browned beautifully. I add a good dose of red chilli powder to liven up this dish…if you are cooking for kids, you can leave this out. Heat the sunflower oil on medium in a 30cm AMC pot. Fry the cinnamon stick and bay leaf. Add the chopped onion, diced carrot and celery. Add the bacon pieces and continue stirring. When the bacon browns, stir in the crushed garlic, ginger, oregano, fresh thyme and then the paprika. Add the lamb mince and stir until the meat browns. Add the tomatoes, tomato paste and stock cubes. Simmer until the mince is cooked through – it should not be too watery. Check the seasoning before adding salt. Season the mince with black pepper. 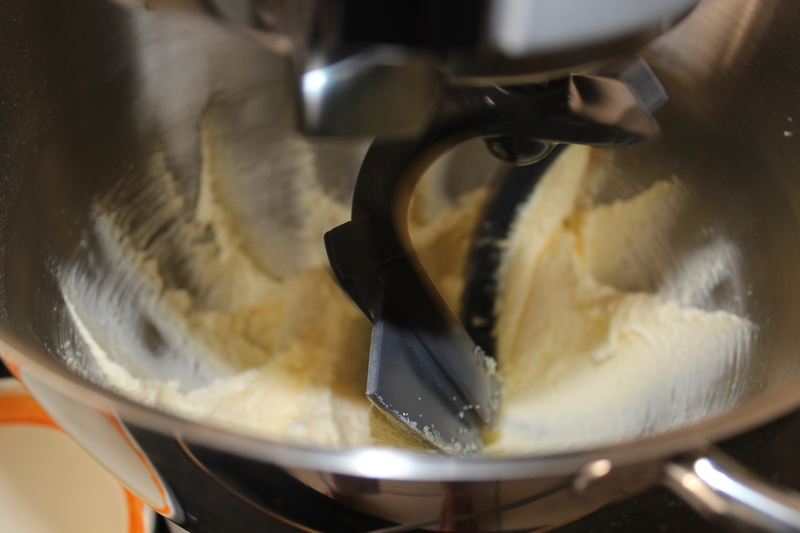 Melt 100g butter and whisk in 100g cake flour. Continue whisking on a low heat and then gradually add 950ml full cream milk. Continue whisking until the sauce thickens and then add 5ml coarse salt to season. Whisk 250ml grated cheddar into the sauce and check the seasoning. Add 100ml fresh cream to the sauce and stir. Place a layer of white sauce in a casserole dish. Place a layer of lasagne sheets over the white sauce making sure the sheets do not overlap. Layer the mince over the lasagne sheets and then add a layer of white sauce. Continue the process and end with a layer of white sauce. Sprinkle the grated cheese over the white sauce layer. 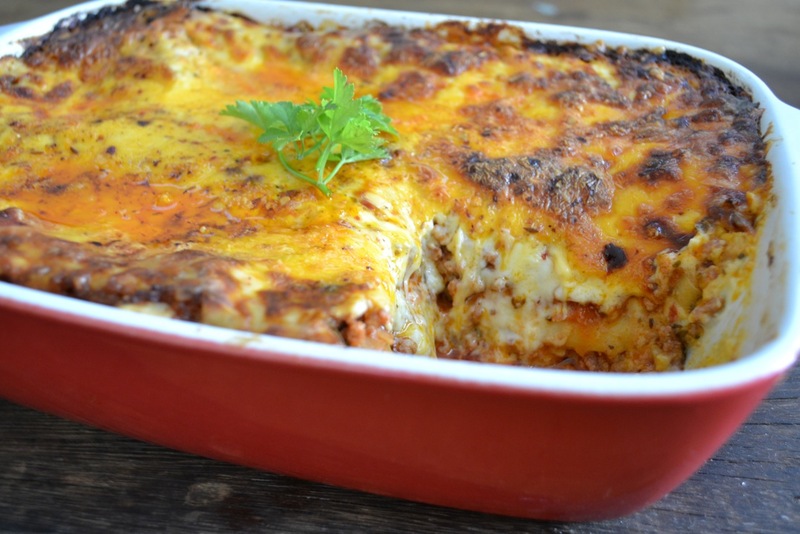 Leave the lasagne to stand at room temperature for 45 minutes to an hour. Bake in a preheated oven at 180 degrees for 30 minutes. You can use store-bought cheese sauce if you are short on time. Use macon instead of bacon if you prefer. Add chopped green chillies to the lamb mince for a spicier lasagne. Beef mince can be used instead of lamb. I always refer to our trips to Cape Town as ‘The Sprint’ – too much to do and not enough time! Combine this with sunny skies – what could be better? 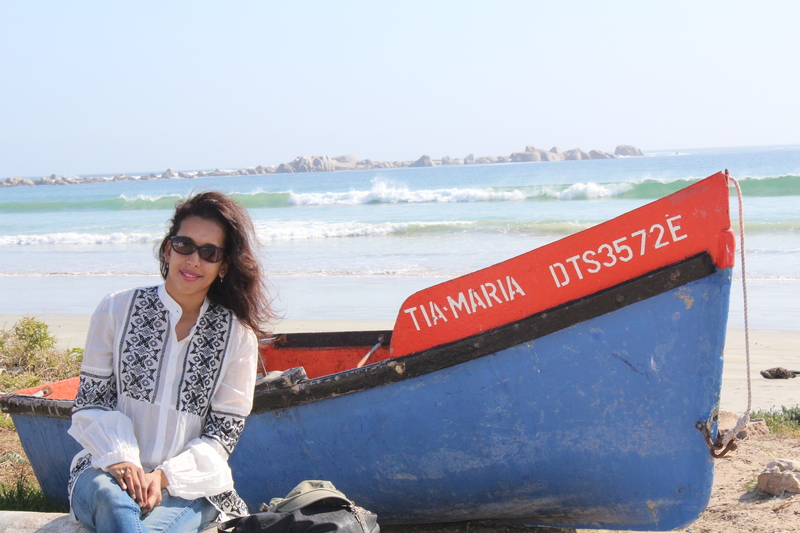 After lolling around in bed for a bit, we decided to head out to Paternoster for the day. I was keen to get going but not without my first pit stop…The Westin’s breakfast….I had to apply my ‘Calorie Strategy’ and opted for the smoked salmon and avocado brekkie from the buffet. There were too many calories to be blown and I had to select wisely. 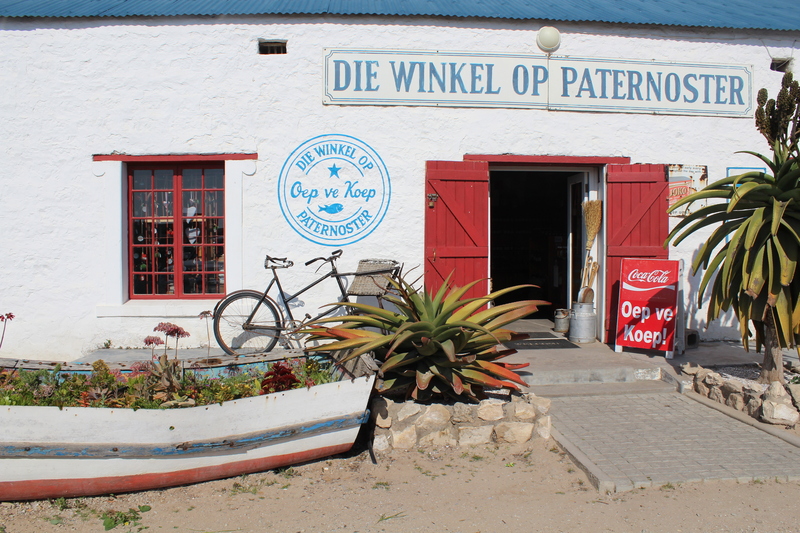 My first stop was ‘Die Winkel Op Paternoster’ which stocks anything from olives to Antique furniture. For a taste of the West Coast make sure you pop in to this farm stall to stock up on freshly baked bread, cupcakes, jams and preserves. There is also a small restaurant at the winkel but we opted for a more scenic spot for lunch. Feeling quite thirsty after the long drive, my gin hankering kicked in and it was off to the ‘Noisy Oyster’…they were unfortunately fully booked for the arvie. 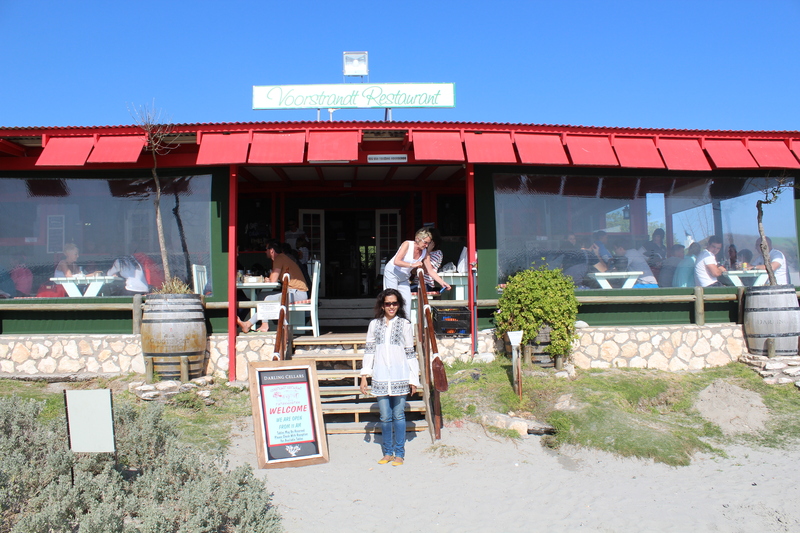 Moving on…we found a spot…Skatkis Restaurant at the Paternoster Lodge. It didn’t look like much from the street but Rob was keen so off we went….a gin and tonic and a Darling Brew draught beer plus some delicious home-made bread cost an amazing R35! I would have happily paid more – the view was amazing. But seriously…35 bucks? I expected most of the patrons to be sloshed and disorderly but they seemed like a fairly conservative, well-behaved lot. 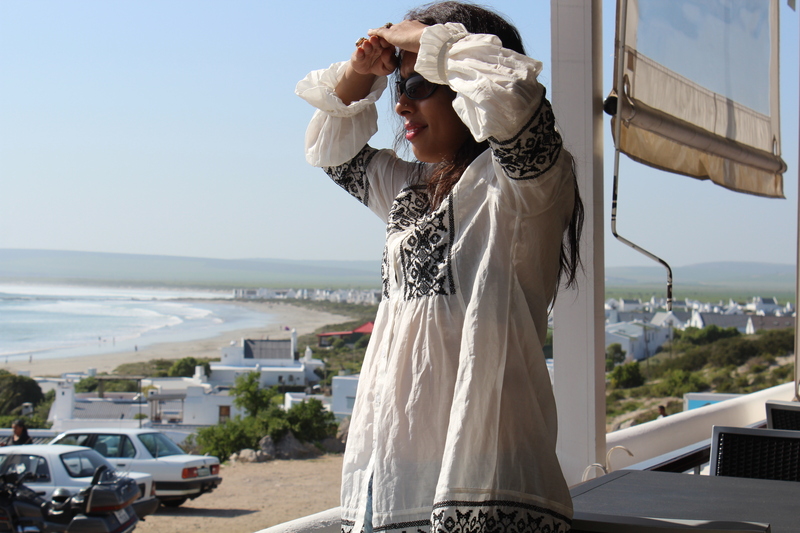 I had to pack away my wild side….clearly Paternoster is not the place to let your hair down especially during lunch time. So, it was back in the box for me! 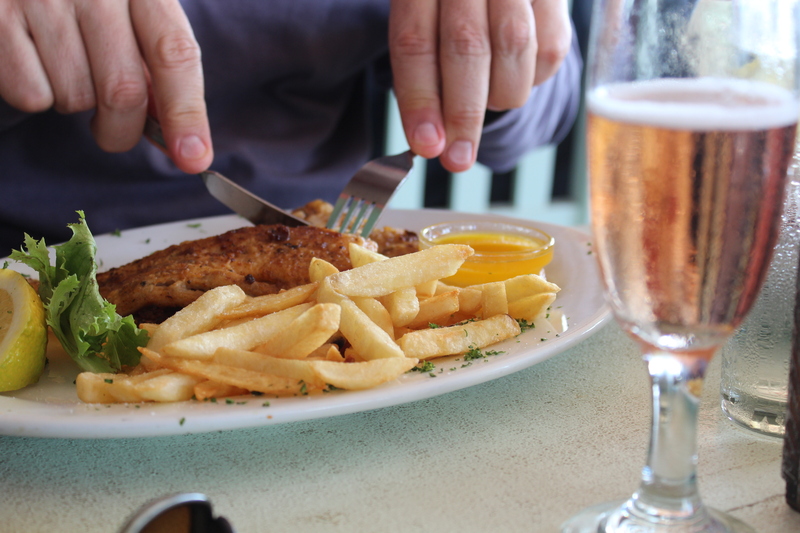 It was time to start thinking about lunch….we meandered through the town, past the quaint white-washed cottages, and arrived at the Voorstrand Restaurant! 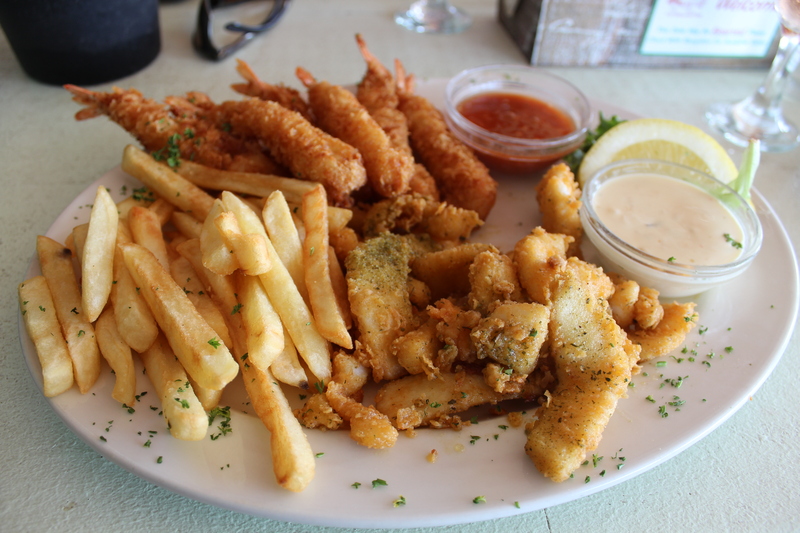 Situated on the beachfront on Strandloper Street, this was once a fisherman’s cottage that has been converted into a cosy restaurant with a deck that leads onto the beach. We didn’t book – we seldom do as it just seems to mess up the adventuring. We did get a table on the deck at around 2pm…the good spots were taken. Serves us right for not booking, I suppose. 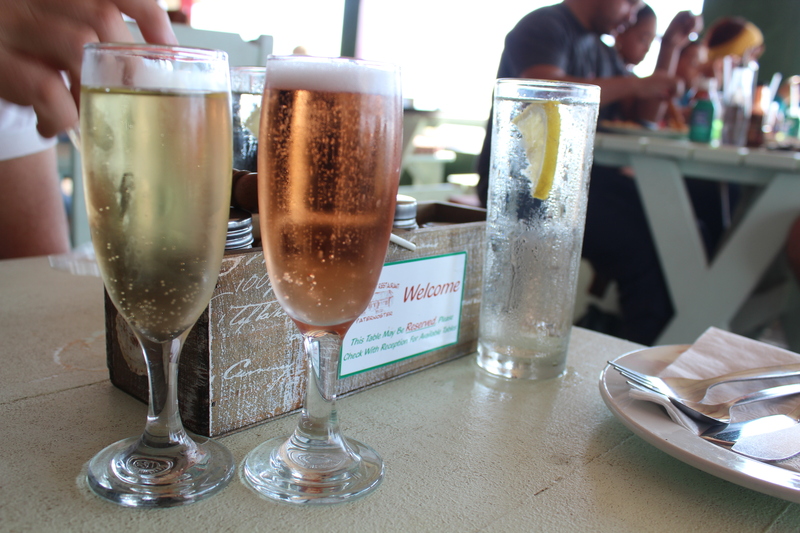 The first surprise at Voorstrandt was they served champagne by the glass…and pink champagne too. I had to kick my gin habit and settle into some pink champagne…a still day in Paternoster…no icy wind whipping off the water…and pink champagne….the day just kept getting better. For the mains…Rob opted for the linefish, Dorado. I couldn’t decide on a main so opted for a bit of both…Prawn and Calamari combo. I would recommend this restaurant…good service…good food and there are a few options for the non seafood lovers. One last thing about Voorstrand…give the green chilli on the table a bash. It added just the right zing to my Sunday lunch. Rob and I finished the jar and we had to ask for more. Our lunch turned into a few more drinks on a sunny spot on the deck after a walk along the beach to work off my ‘deep fried glory’ lunch! 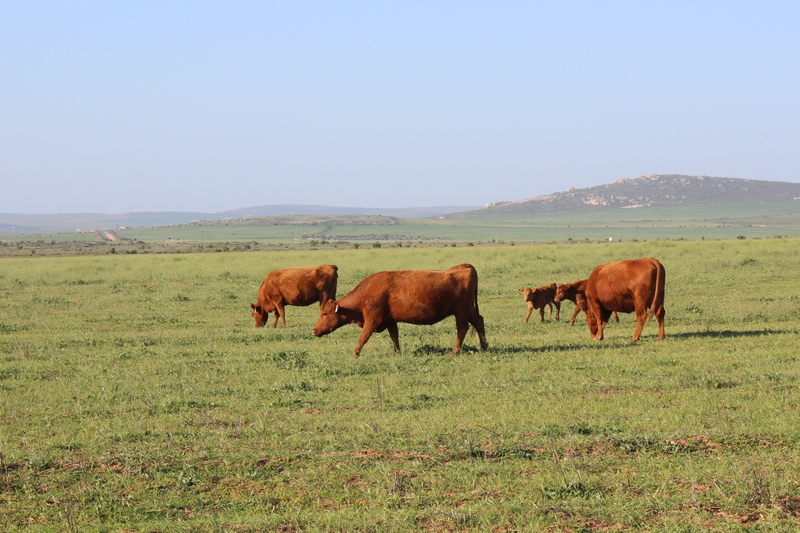 I just love cows…brown ones…black ones and little ones! 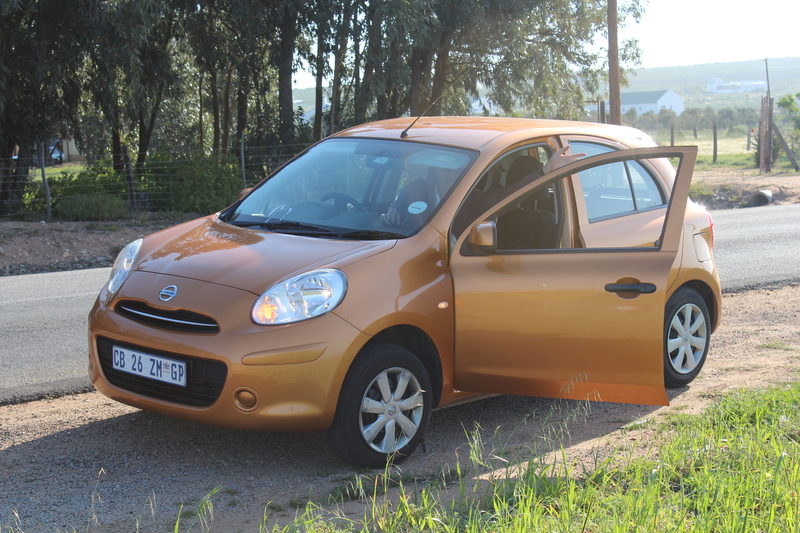 Rob waving me back into the hired car….afraid that the cows might charge! 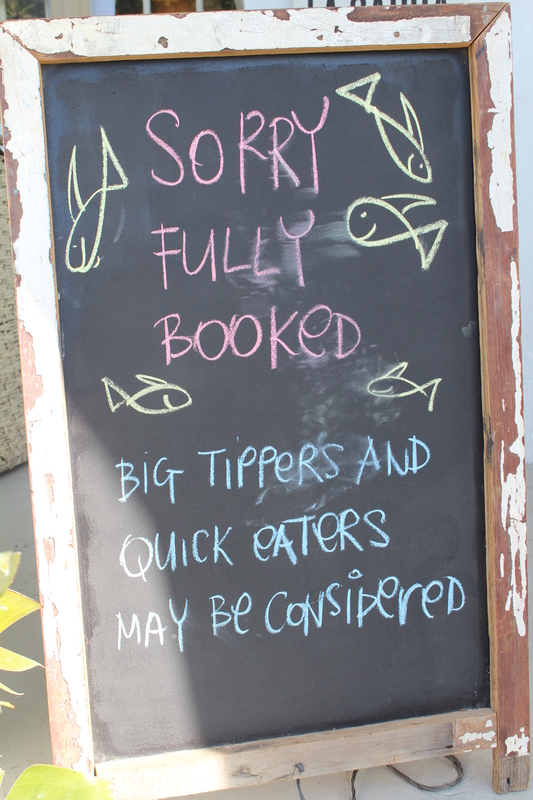 The Verdict: Paternoster definitely gets our vote! 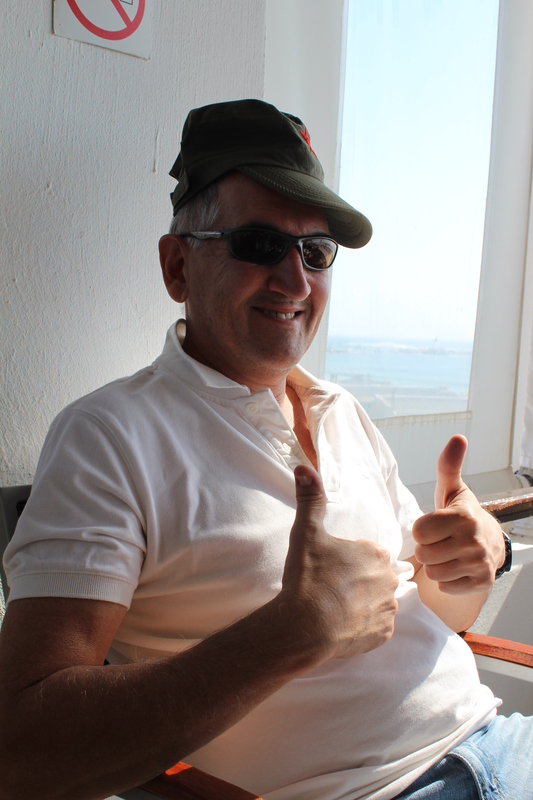 Not so sure about Rob wearing his cap like this in Jozi though!